Scary Monsters magazine #95, January 2015. 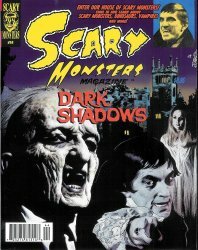 Featuring Barnabas Collins and others from the cult TV show Dark Shadows on the cover! Collectors Note: Photo is of actual magazine distributed to us directly from publisher.